I read and write stories about unlikely heroes who make a difference in their corner of the world. In my everyday life, I strive to be one of them. I'd been haunted by seldom-discussed aspects of the Nazi era ever since I researched this book's prequel, Risking Exposure. When characters from that novel reawakened and clamored for attention, I wove them into history in a second novel. The second book in the Risking Exposure series, A Path Divided is the story of a young girl caught between love and loyalty in Nazi Germany. Renate Muller is fourteen and a member of Hitler’s Youth. At first, she’s dazzled by the opulent rallies and impassioned speeches of the Fuhrer, but then the Party begins targeting her crippled friend, Sophie, and she learns they were responsible for the death of her father. A picture frame with magical properties given to her by a Romani woman shows Renate the paths that she could choose. Will she save her friend and risk the enmity of her devout Nazi brother? Or will she remain loyal to her family and country and turn her back on those who need her? A Path Divided by Jeanne Moran is beautifully written with a captivating story line and sympathetic characters. She takes us back to a very dark time in human history and tells the story of a mostly forgotten group of people: the German children pressed into service and called Hitler’s Youth. Alternating between past and present, between Renate’s point of view and that of her now elderly brother, Moran tells both their stories in a way that humanizes each of them. The vivid descriptions and realistic manner in which the story is told make this a touching, albeit emotionally difficult read. There were few happy endings in Nazi Germany. But stories like this are important. Some things must not be forgotten. 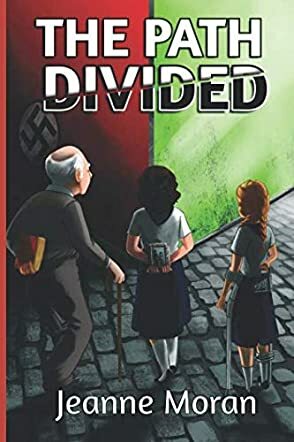 A Path Divided is a must-read for people of all ages.